LocostUSA.com • View topic - Sealant that holds up to gas & oil? Board index » The North American Locost Forums » Fuel, Cooling, Exhaust, etc. Sealant that holds up to gas & oil? Post subject: Sealant that holds up to gas & oil? I had to pull my intake manifold off yesterday because the vacuum chamber underneath developed a vacuum leak. Caused havoc with my efi! 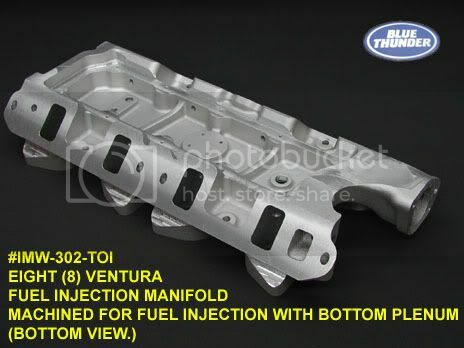 it has a chamber cast into the manifold that has an aluminum plate cover, held down by bolts. I used motorcycle case sealer on to seal the mating surfaces, it became brittle and now leaks. Does anyone know of a pliable sealer that can handle exposure to gas and oil? Post subject: Re: Sealant that holds up to gas & oil? hi best all around sealer i have ever used , permatex great stuff. seem to work for things they never intended too. If that's the orange stuff, I have to agree. Sealed a hole in my front diff with that stuff and it lasted for years. Except it says not to use when in contact with gasoline. I don't want to find out the hard way that it won't hold up! Maybe give the folks who made the manifold a call? put the good stuff in the good stuff. .. wrong product for that tagline but you get the idea. "There are times when a broken tool is better than a sound one, or a twisted personality more useful than a whole one. The manifold maker won't take questions or respond to my calls! I bought the manifold on ebay. if you don't mind spending $$ or if you know someone in the aviation field that could help you out. hi that gasket will not be in contact with gasoline, greatstuff will work fine.. it is black, comes with a small caulking gun. It WILL be in contact with gasoline, hopefully not much but gas will get in there. Threebond Silicone Liquid Gasket should be available at finer motorcycle shops everywhere. Used it for sealing motorcycle and jetski cases for years never had a leak. Why would it be in contact with the fuel? Your ITBs go directly into the heads, do they not? Injectors are pointed down the intake, correct? They might get a hint of vapor, but if it's truly under vacuum it would be cleared out on the next available intake cycle.. and you have 2x as many of those as most of us do! I would worry about fire and explosions if your getting puddles of fuel in a vacuum chamber. There shouldn't be any thing but... well, vacuum in that chamber! Maybe I'm missing something in it's design, but it seems odd to have unburned fuel around in the manifold. And I have to +1 for the PermaTex... AWESOME stuff!! FYI - Gasgacinch is only gasoline resistant too. Check out Firearm Finishes & Coating for options to ceramic coat your Locost parts. Hundreds of stock or custom colors including Chrome and Clear Coating options now available! High Temp options for hot bits!! Plastics too!! I understand what you are saying, but gasoline vapor is still gasoline. Plus it will probably get a little in there at every start up and possibly at shut down. I just don't want to take a chance. Its PITA to take the manifold off with the EFI setup plus, I need reliability for going on long trips. Don't want to take it off again for a long time! I need to read the data sheet on the stuff from Aircraft Spruce, it sounds like the best thing so far. I don't really trust Gasgacinch over the long term either for this, but I use for many other things. I'll check at work and let you know what is available from Permatex that is gasoline stable. Permatex 300, Don't leave home without. Even brake fluid will not touch this stuff.